The Estonian Anti-Poverty Network is an independent coalition of NGOs whose activities are directed to reducing poverty and social exclusion in Estonia. The Estonian Anti-Poverty Network is open for co-operation and it is ready to create network together with all established infornal networks based on common interests and non-profit citizen associations working to combat poverty and social exclusion and involve in action individuals and groups living in poverty and social exclusion. The Estonian Anti-Poverty Network knows and recognises the objectives of the European Anti-Poverty Network and its role in combating poverty and social exclusion. 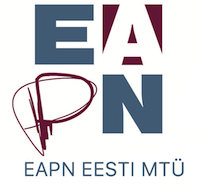 The Estonian Anti-Poverty Network with its activity is ready to contribute to the strengthening and promoting EAPN’s position regarding EU social policies and legislation. The general aim of the Estonian Anti-Poverty Network is to organize and coordinate Estonian antipoverty and social exclusion activities in Estonia, develop the capacity of the network and its internal networking, present and promote European Anti-Poverty Network and its role, represent Estonian Network in Europe and other International organizations.